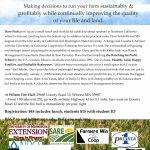 Join us March 2nd for the 2019 Livestock Quiz Bowl and Skillathon Contest! What: Livestock Bowl is a quiz competition where all the questions are about beef, sheep, swine, and meat goat topics and students use a buzzer in order to answer the questions. Teams compete in a double elimination format by giving oral answers to questions posed by a moderator. Each match has both an individual and toss-up question round. The winning 4-H senior team will represent Wisconsin at the National 4-H Livestock Quiz Bowl competition in Omaha, NE at the AKSARBEN Livestock Exhibition. Skillathon contest is made up of a written quiz and learning stations such as breed identification, feed identification, equipment identification as well as some team activities such as demonstrating evaluation skills. The top Senior level 4-H team will represent Wisconsin at the National 4-H Skillathon Contest, held each fall in Louisville at the North American International Livestock Exposition (NAILE). Competition in Quiz Bowl & Skillathon encourages members to develop a more complete knowledge of animals and related subjects. This contest provides an educational program for all project members, including those who may not own a project animal, and provides a way to develop self-confidence. These programs are a great parallel to some similar programs that breed associations and other organizations conduct. Deadline for registration is Feb. 22, 2019. Only emailed registrations will be accepted, mailed registrations will NOT be accepted. The cost is $10 per youth and due at the time of registration. Registration starts at 9 a.m., competitions start at 9:30 a.m. Teams are encouraged to participate in both contests as they will be occurring at the same time. The planning committee reserves the right to alter schedule if needed to manage both contests effectively. For more information and registration information, please contact Bernie O’Rourke, UW Extension Youth Livestock Specialist and contest coordinator at (608) 263-4304, borourke2@ansci.wisc.edu or the Animal Science Youth Website at https://fyi.extension.wisc.edu/youthlivestock/programs/quizbowlskillathon/. 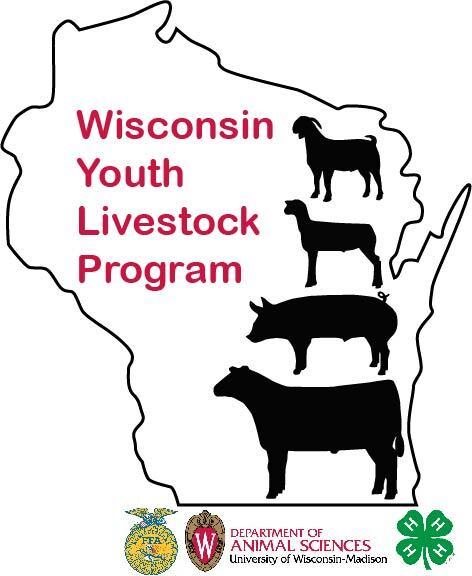 You can also “like” Wisconsin Youth Livestock Program on Facebook as well.